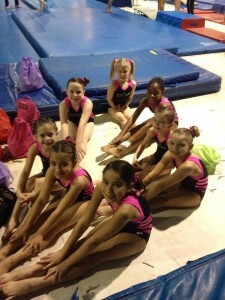 Every journey begins with the first step and, in gymnastics, the first step is trying out a rec class! Whether your daughter hopes to become a competitive gymnast someday, is looking for an outlet for fun and friendship or just wants to improve coordination while getting some exercise, our recreational gymnastics classes are a great place to start. Beginner classes are offered throughout the week and last 55 minutes. As she learns basic skills and is ready to take on new ones, we’ll often recommend adding a second day of practice each week as she moves into new classes that last 90 minutes. Our competitive program is based on the U.S.A. 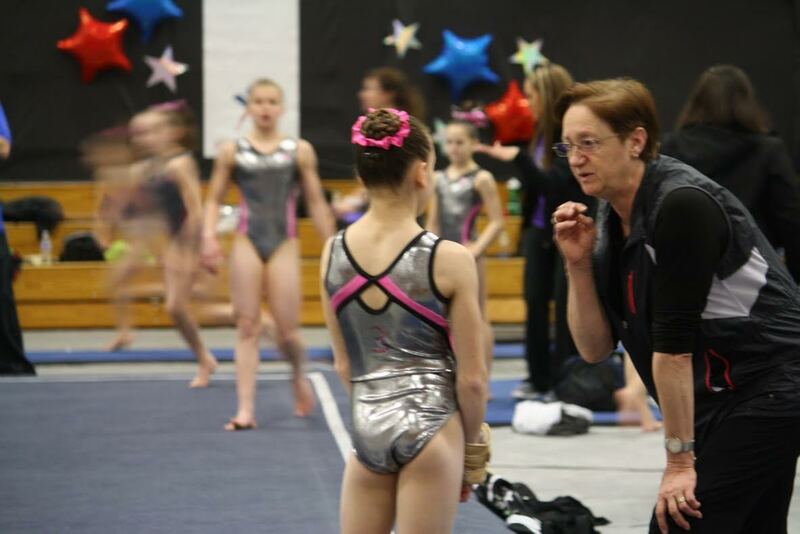 Gymnastics (USAG) Junior Olympic program and participation is by invitation, as coaches observe readiness in gymnast’s skills, enthusiasm and focus. Developmental levels 1-3 allow our gymnasts the opportunity to build skills and gain confidence as they learn to compete in front of judges and spectators. At these levels, our gymnasts compete in local USAG-sanctioned meets in the fall and Texas Amatuer Athletics Foundation (TAAF) meets in the spring. Compulsory levels 4-5 provide our gymnasts more opportunities to compete in USAG-sanctioned meets, including District 3, North State and State championships. At these levels, the competitive season is mainly focused in the fall months. Optional levels 6-10 allow gymnasts to exhibit select skills in routines that showcase their strengths and personalities in routines unique to the individual athlete. These athletes often travel within the region for invitational competitions in during the spring and compete in State championship meets. From there, top performing gymnasts in levels 7 and 8 are able to qualify to compete at Regional championships, where they meet up with peers from NM, AR, KS, OK, CO, and WY. 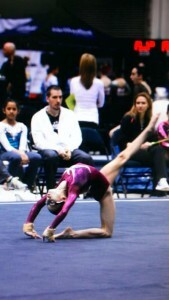 Based on their performances at Regionals, level 9 gymnasts can earn advancement to Western championship, where they compete against qualifying gymnasts from the western half of the U.S. Level 10 gymnasts who qualify at Regionals can earn advancement to Junior Olympic Nationals, where they face the top level 10 athletes in the U.S. TOPS is a national talent recognition, education and development program in which the highest performing girls in the country, aged 7-10, can earn selection to train at a national development camp with their coaches. At DGA, even gymnasts who are not planning to test for national TOPS selection use the TOPS regiment as the basis for strength and conditioning training. The USAG Elite program provides opportunities for qualified athletes looking to represent the United States as part of the National Team or the Pre-Elite Training Squad. The Pre-Elite Training Squad is selected from Challenge meets each year. The National Team is separated between a Junior (under 16) and a Senior (16 years and older) team, with members chosen at the USA Championships, which take place each summer. Members of these teams represent the United States in international competitions.